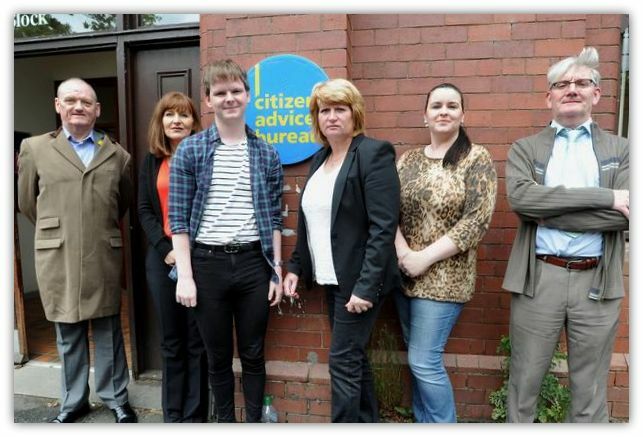 Coatbridge Citizens Advice Bureau is now located within the old Mines Rescue Centre in Coatbridge. We are getting a Royal visit to the Bureau next month so I’d like to include some information about the building in our brief. When was it opened and when did it close, any relevant information would be great, we have the plaque in the building showing rescues from 1917 till 1982 with 178 fatalities but wanted exact dates. "Working for and supporting the Community, within the heart of the Community"
I noticed an email, on the Scottish Mines Rescue site, from a man called Les Adams. He was asking about men from Coatbridge Mines Rescue, wondering how they were doing now. One name was my Dad’s, Eric Savage. Can you let Les know that my Dad will be 80 this year and still keeps in touch with Alan Bridges and Jimmy Holmes, from the old days in Coatbridge. Although a lot older, they still tell tall tales and stories from their days in the service. Please feel free to pass on my email to him. Many, many thanks for your wonderful web site, means so much to so many. Can you help with pictures of Coatbridge Mine Rescue as we are going to paint a mural at the old Mine Rescue Building. My late father Geordie (nick name – the lum) came from Larkhall (passed away on 16th May 2009 due to throat cancer) worked in Coatbridge Mines Rescue from 1961 to November 1973. He worked with the following Rescuers. My father attended the Michael Pit Disaster and was missing for a short while. Another team were sent in to find his team, however, the smoke was so thick that they walked past each other. My father was able to lead his team which consisted of him and two part time rescuers to safety. My father only got out by following the rails and the others held on to the belt of the man in front. He never forgot the men who lost their lives especially the men whose remains they could not recover. My father also worked in Bedley Colliery until it closed, and took early retirement from Bogside Mine. He later helped Guthrey Hutton (author) with information for his book Lanarkshire's Mining Legacy. The picture of the miner in full apparatus bears a striking resemblance to my father. My dad Victor Carr was in Bedley pit for 30 years, and also worked in the mine rescue at Coatbridge from 1976 to 1985, if any one out there has any photos of the mine rescue centre my dad would love to see them. A fall from the roof of No 1 Bedley Pit, near Glenboig owned by Messrs Wm. Baird & Co, closed up the airway yesterday, with the results that there followed an accumulation of gas and four men, including Mr Murray, the manager, were gassed and rendered unconscious. The brigade motored from the Lanarkshire Mine Owners Rescue Station, Coatbridge, and carried with them all the necessary apparatus for mine rescue work. John Hunter, Bedley, formerly of Airdrie, died from the effects of the gas. Artificial restoratives were applied for more than 2 hours underground and three of the men eventually regained consciousness. John Cranley's condition was considered somewhat critical, and he was removed to the Alexander Hospital, Coatbridge. In the evening, however, his condition had greatly improved. My Great Grandfather worked in Coatbridge Miners Rescue. His name was James Brown or "Jimmy" as everyone knew him. Looking for information about Walter Todd, Mines Rescue. He worked in the Mines Rescue Station in Kilmarnock from 1957 to 1969 as an instructor. After that he moved to Coatbridge from 1969 to about 1984ish. At Coatbridge he was the assistant superintendant. Knockshinnoch Castle Disaster 7th Sept 1950 - The Central rescue Station at Coatbridge was put on stand-by readiness. The main operation was ready and a team from the Coatbridge Rescue Station was instructed to proceed directly to the Knockshinnoch Castle side. Between 1911 and 1918, additional rescue stations were opened to cover all mines in the country as follows. In Scotland, at Kilmarnock, Coatbridge and at the University of Heriot Watt. . .
Fire At Michael Colliery, Fife, 9th September, 1967 - The Cowdenbeath Rescue Station was called at 5.00 a.m.; the first van left in a matter of minutes and arrived at the colliery, some 15 miles away, at 5.35 a.m.